Power Cycles for Children – Kiddy Viper power cycle and Kiddy Coyote are handcycle wheelchair attachments or clip on handbikes that share the same high specifications as our adult versions albeit on a slightly smaller scale. Both have smaller forks and 16” wheels in place of 20” wheels plus the Kiddy Viper’s electrics have been adjusted to allow a speed restriction of 4mph. Helping people to get mobile is at the heart of Team Hybrid’s philosophy; we believe this especially important for children. As children learn to get around with their handcycles, their confidence grows. It’s also a great way to give them a sense of adventure and independence that will enable them to have an incredible amount of fun. Kiddy Coyote has the added advantage of being a fitness tool and a great way for children to get aerobic exercise. 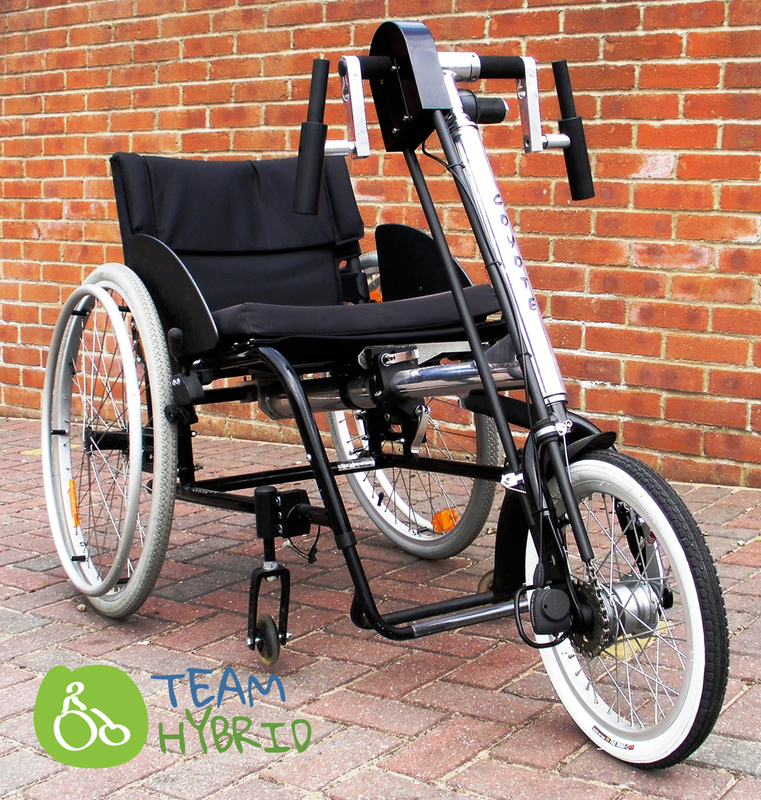 More information on the Kiddy handcycles can be found on our download page.